The ABS is pleased to announce the addition of Rebekah Sisk as one of our talented artists. Rebekah has agreed to work with ABS witnesses who have had sightings using Forensic Art techniques. The ABS is excited to have Rebekah on our team. You can check out her bio on our Advisors List. Sasquatch Scoop Breaking News: Hovey Photo Is Not The Abominable Costume. Report submitted to the American Bigfoot Society in 2012 - by a witness who claims a visual sighting in Bridgewater, Massachusetts as a young girl in 1972/1973. The Crypto Crew Got a chance to talk to Melissa Hovey from the American Bigfoot Society . They are the group that released the photo below. It has caused somewhat of a stir among the bigfoot community. Creature Weekend 2012 Salt Fork State Park Ohio. Born and raised in the Pacific Northwest, Todd Neiss couldn't avoid hearing about the legend of Bigfoot, but he had relegated it to folklore, Native American story telling, or simply a scary campfire story. Never had he considered the legend to be true. That all changed for him when, while conducting explosives training with the military in 1993, he came face to face with three of these amazing beasts. That single, life-altering event compelled Neiss to devote his life to Bigfoot research. For nearly 19 years, he has investigated numerous encounters and conducted nine major expeditions with the goal of collecting irrefutable evidence as to the existence of these reclusive creatures. Neiss has been featured in over 18 television programs and documentaries (including the Discovery Channel and Unsolved Mysteries) as well as having made numerous public appearances in an effort to bring attention to the plight of these incredible animals with the hope of enacting protection for their species. Dana's grandfather, Harlan Ford, was the first person to report an encounter with the creature that is now known as the Honey Island Swamp Monster. Film maker and Author, Dana Holyfield Evans has authored multiple books including "Encounters with the Honey Island Swamp Monster" and produced a DVD documentary entitled "The Legend of the Honey Island Swamp Monster". She has made several television appearances, including an appearance on the hit reality show "Swamp People". Dana will discuss her research on this elusive creature and recollections of her grandfather's sighting and field work. Linda S. Godfrey is an author and researcher of the strange and uncanny, and is especially well known as an authority on the upright canine known in Wisconsin as the Beast of Bray Road, in Michigan as the Dog Man, in other places as Skinwalker, werewolf or a dozen other names. She appeared in, co-wrote and co-produced the History Channel's Monsterquest episode, "American Werewolf," based on her book "Hunting the American Werewolf" and also appeared in the show's season 4 finale. She has canvassed Wis. and Michigan looking for the strange and offbeat, from outsider artists and giant roadside statues to local cemetery lore, eccentric people and history, to ghost stories and unidentified creatures and UFO's. She put over 5,000 miles on her "weirdmobile" and found enough strangeness to fill both Weird Michigan and Weird Wisconsin for Barnes & Noble in 2006, and the sequels, Strange Michigan and Strange Wisconsin for Trails Books. 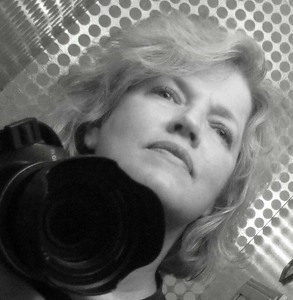 Linda is a former award-winning newspaper reporter and art teacher and provides many illustrations for her own books. When: May 6th, 2012: - 12:00 P.M. - 6:00 P.M.
Where: The Chautauqua Suites, Mayville NY. Wildlife Expert and Educator Larry Battson has been traveling the country teaching children and adults about animals and their role in nature. 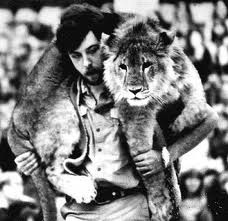 Larry will be speaking on both May 5th and May 6th, and yes, he will have some of his animals. Larry's knowledge of animals makes his lectures must attend events. Billy Willard is president of an environmental consulting firm. He oversees various types of environmental assessment and cleanup projects (e.g., leaking underground petroleum tanks, environmental site assessments, and soil/groundwater remediation). Billy is an OSHA Hazwoper Supervisor and holds many other credentials. Billy became interested in the Bigfoot phenomena early in life as a kid after watching such movies as the Legend of Boggy Creek and the Creature From Black Lake. In 2005, Billy and his son Josh formed Sasquatch Watch of Virginia. 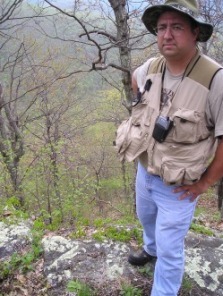 Billy is currently vice president of the American Bigfoot Society (ABS), a director for The Alliance of Independent Bigfoot Researchers (AIBR), member of the Northeast Sasquatch Researchers Association (NESRA) and a member of the Pennsylvania Bigfoot Society (PBS). In addition, Billy used to host an internet radio program every Monday night at 9pm Eastern on the Blogtalk Radio Network called "Sasquatch Watch Radio". Each week he has guests from around the world that include Bigfoot researchers and eyewitnesses. The shows are archived and available for listening. Melissa was also featured on the all-female expedition episode of the History Channels, “MonsterQuest” titled, “Bigfoot" Season 1. Steve began his quest first in 1998 seeking knowledge from other researchers in the field. 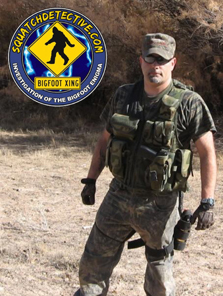 Steve firmly believes in a "boots on the ground", methodology of obtaining evidence for or against, evidence regarding the Sasquatch mystery. Steve has had five sightings in the last twelve years and a handful of what he describes as "most likely, close encounters" with the creatures, after initially entering the field quite skeptical. Steve has appeared internationally on television, radio and in print. Steve has appeared on the History Channel's "MonsterQuest" series(Bigfoot in New York) and on the NatGeo Channel's "The Truth Behind" series (The Truth Behind: The Loch Ness Monster). The ABS heads to Oklahoma !! Check back for more information about this upcoming event. 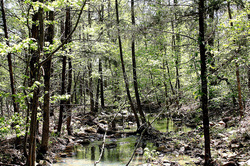 Is there an American Bigfoot Society Investigator where you live? Each yellow pin, in the above map, shows where American Bigfoot Society Members are located. If you do not see an investigator in your state, don't worry, the American Bigfoot Society works with other organized groups and independant researchers/investigators. Rest assured, your report will be taken seriously and investigated throughly. 2010 Cooperative Expedition. Video of hike into area described as L1. Courtesy of Toby Tollman, Tech Specialist American Bigfoot Society, and Squatch Inc.
2010 Cooperative Expedition Video, Provided by Billy Willard. The American Bigfoot Society is wondering, just how many people "think" they have seen a Bigfoot or Sasquatch, but have never reported it to any organization or independent researcher. Please participate in our Poll addressing this question. Your identity will remain anonymous, as we are not asking for any identifying information.